This new symmetrical design will be able to deliver the Penclic experience to a universal audience, where it mirrors the functionality as well as design of its award winning predecessor, the Bluetooth Mouse B2. 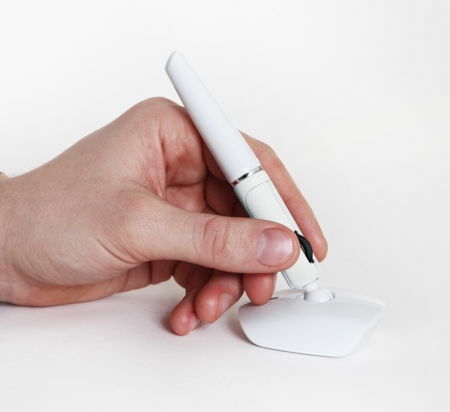 Penclic does include an intuitive hand-grip which offers precision and speed alongside the comfort of using your fingers, while there is a natural form of your hand in order to operate the device. Other than that, features would make the new generation compatible with left- and right-handed users, where the D3, R3 and B3 have the scroll wheel that is located in the middle of the pen’s shaft. The scroll wheel also doubles up as the middle click button, where it will make it easier to enjoy the transition period as one adjusts to this specially designed, laser-focused alternative, apart from making the mouse easier to operate for our left handed friends. The new Penclic mouse does not only carry with it its fair share of health benefits, offering a level of precision and intuitive user experience that is particularly helpful in both design and illustration work. While the Penclic D3 will connect via USB, the Penclic R3 relies on a 2.4GHz nano-receiver as well as a Penclic B3 that sports Bluetooth connectivity. Both the Penclic D3 and Penclic B3 will retail for $64.99 a pop, where the Penclic R3 will be made available in October.